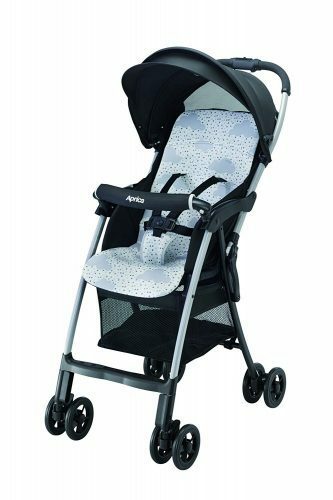 Magical air S is one of the best-selling strollers of the Japanese brand Aprica. 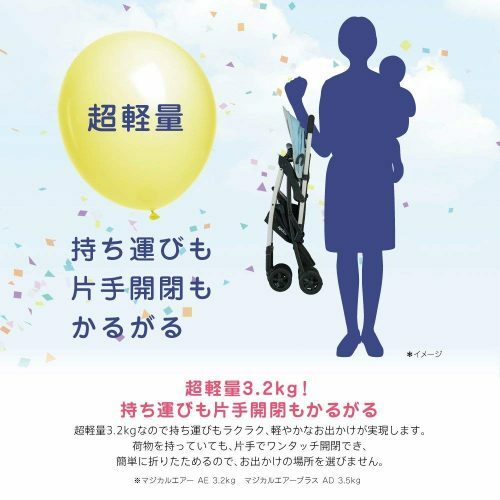 And the brand Aprica has always been a very popular choice among Japanese mothers. One of it’s best features is its lightweight. With only 3.2kg, it’s very handy to carry with you and it includes a long sunshade. Although the stroller is so lightweight, it’s very comfortable for the little ones to sit in, and mum can easily carry it with one hand! Furthermore, the seat cushion is detachable, which makes cleaning very easy. and send it to our Japanese warehouse address!